الخيار الأفضل للحصول على المتعة والاسترخاء, Norfolks on Moffat Beach Resort يقع في منطقة كالوندرا آند كنجز بيتش في صن شاين كوست. يمكن من هنا للضيوف الاستمتاع بسهولة الوصول إلى كل ما تقدمه هذه المدينة النابضة بالحياة. يوفر الفندق بفضل موقعة الجيد وصولاً سهلاً إلى أهم معالم المدينة.
. كما يقدم Norfolks on Moffat Beach Resort الكثير من الخدمات لإغناء رحلتك في صن شاين كوست. يمكن للنزلاء الاستمتاع بالميزات التالية: تسجيل وصول/خروج سريع, تخزين الأمتعة, صف السيارات, التوصيل من وإلى المطار, غرفة عائلية أثناء إقامتهم في هذا المكان الرائع. لقد جهزت هذه الإقامة الفندقية بعناية فائقة لتوفر مستوى عالي من الراحة. في بعض الغرف يجد النزيل تلفزيون بشاشة مسطحة, اتصال لاسلكي بالإنترنت, غرف لغير المدخنين, مكيف هواء, تدفئة. سواء كنت من محبي الرياضة أو كنت تتطلع لتفريغ عناء نهار صعب، ستجد خدمات ذات مستوى عالي بانتظارك كمثل ساونا, مسار جولف - ضمن 3 كم, حمام سباحة خارجي, سبا, تدليك. إن كنت تتطلع إلى إقامة مريحة وهادئة في صن شاين كوست، فستجد في Norfolks on Moffat Beach Resort بيتك الثاني. مواعيد عمل المكتب: من الاثنين إلى الخميس من الساعة 8 صباحًا حتى 5 مساءً، ويوم الأحد من 9 صباحًا حتى 3 عصرًا. في حالة الوصول خارج ساعات العمل هذه، يُرجى الاتصال بالفندق لترتيب استلام المفاتيح. يُرجى العلم بأنه يمكن فرض رسوم إضافية إذا لم يتم التنسيق مسبقًا مع إدارة الفندق لاستلام المفاتيح. I stayed Friday to Monday with my mum. Amazing accommodation, very clean. Apartment was very big. The view was spectacular. It’s directly across the road to the beach and delicious cafes. 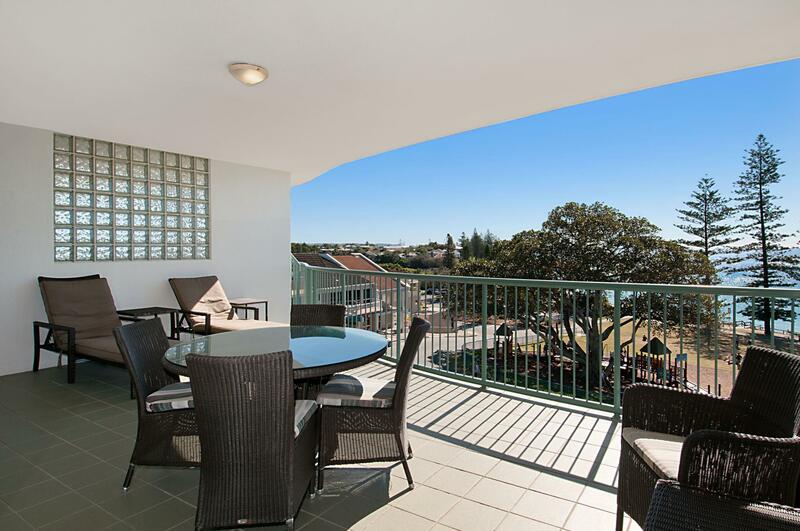 Within walking distance to supermarket and Dickie Beach. 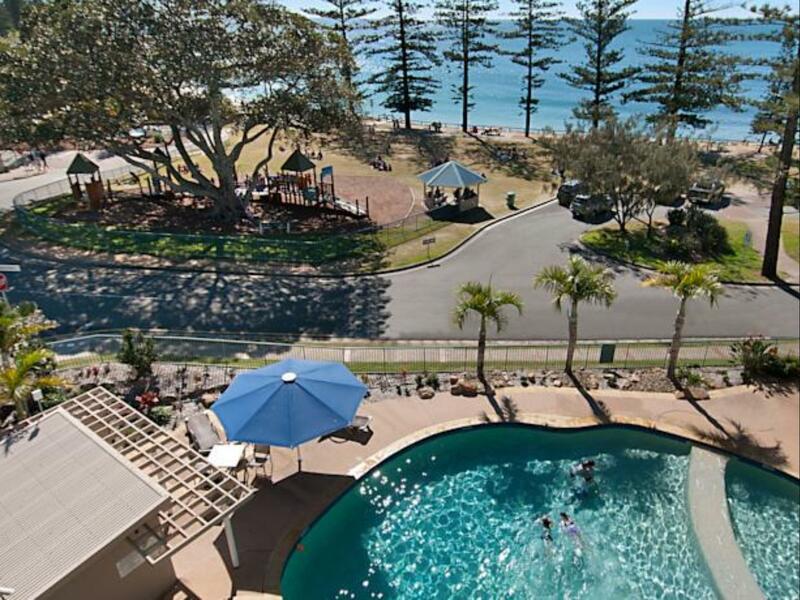 Wonderful location overlooking Moffat Beach. Everything a family would want in the apartment with a good pool and other facilities. 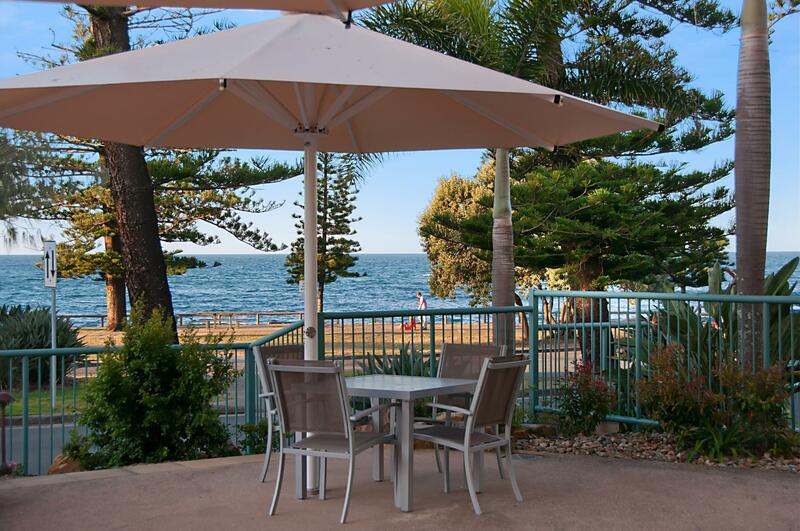 Restaurants across the road (ok to good) and plenty of outdoor facilities close by (chlidren's play ground, park, bbq's, surf beach and calm water lake). A few maintenance issues starting to appear but otherwise a pleasure to stay here. A fantastic location and a lovely place to stay. Without a doubt the best family holiday we have had. Particularly the location was a highlight, being across from the ocean and also parks, playgrounds, cafe's, and restaurants. Perfect place for kids with the pool and two playgrounds nearby. Hotel was under new management and were friendly enough and the only issue we had was a few things were missed with cleaning on check in. We will be back for sure. We have stayed at Norfolks on two previous occasions and always enjoy our stay. The units are spacious with lovely big balconies. Some of the units are getting a little tired and the shower recess in our apartment could have been cleaner. We stayed for two weeks and I would have preferred more linen changes, especially as we were unable to launder the linen ourselves. As it is a bit out of town which suited us as it is a nice walk along the coastal walking path into town. There were good restaurants and coffee shops across the road. Close to surf and patrolled beach. Loved the view from my balcony. Wouldn't hesitate to recommend. Thoroughly loved our stay, we really did not want to leave. The room for us was perfect, friendly staff, such cleanliness. 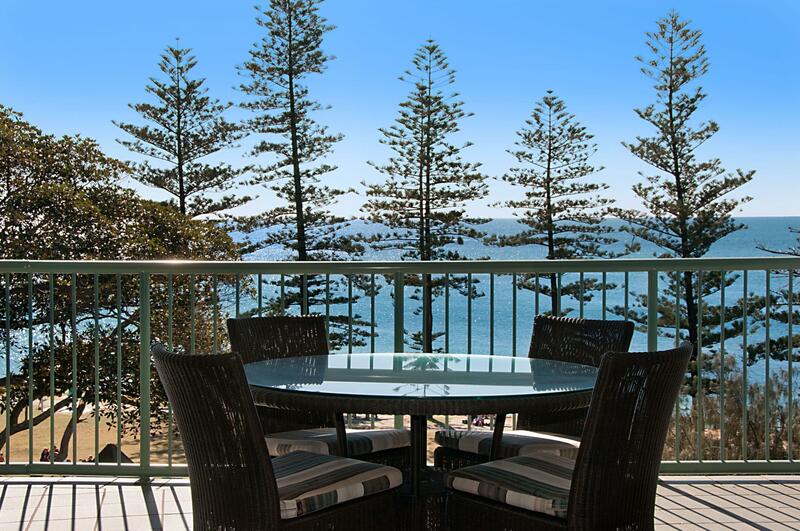 A spacious well equipped unit with great views. We liked it having several cafes across the road as well as the extensive walking paths to enjoy late afternoon with the resident Water Dragons and Bush Turkeys. The beach across the road was great to just come and go back to the unit too. We would stay here again. Loved this place, perfect for kids, apart from uncomfortable bed everything was brilliant! The only thing that let the property down was the dirty tile floor in the kitchen/lounge/entry way and dusty blankets in the bedroom cupboards. This was our second stay at Norfolks to catch up with family living nearby. The apartments are very comfortable and quiet with everything we need, the staff are helpful and friendly and the location is perfect - the beach is on the doorstep. As a bonus we enjoyed sitting on the balcony watching whales go by and a pair of grey cranes nesting in the pine trees. We will come back. Just loved this place. Only wish we had stayed longer than our 3 nights. 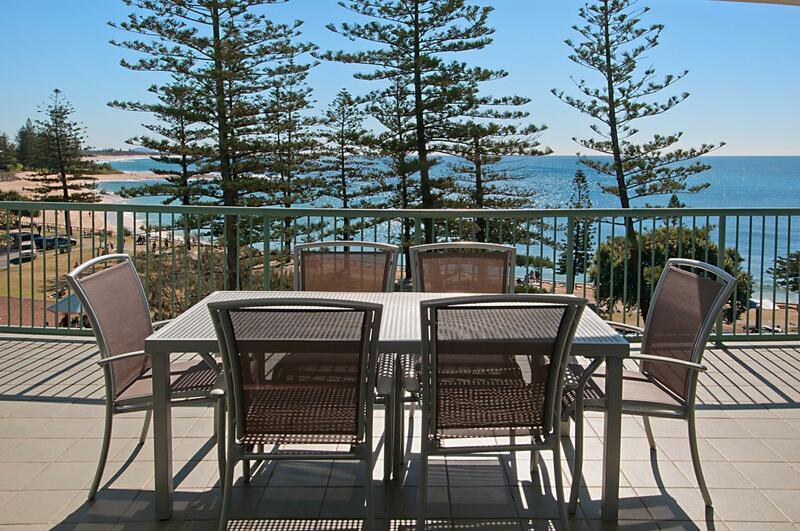 Great stay , spacious and comfortable apartment with fabulous sea views and huge balcony . Beach and cafes across the road . Lovely pool area . We were super impressed with the apartment and the amenities in the resort. The bus was at your door step with services every 15 minutes. Although there are some cafes across the road also found a great little restaurant a short walk away at Dicky Beach. Would definitely go back.